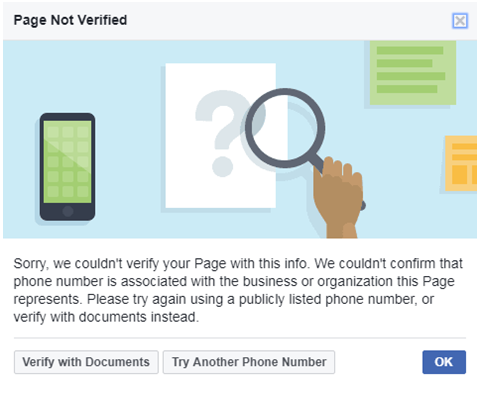 Verifying your Facebook page is an important step for any business. Not only will you receive a badge that indicates your verification status, but you will also appear higher in search results. 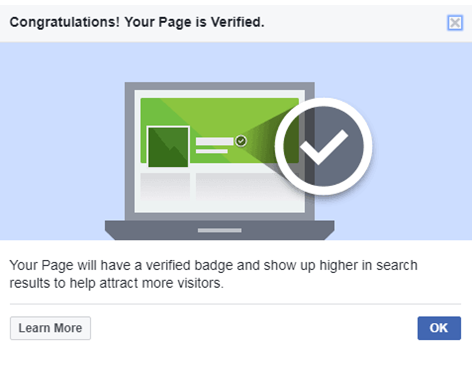 The verified badge lets people know that your Facebook page genuinely represents your business and is not a fan page or an impostor. 1. Click here to log into Facebook. Go to your Facebook Business page. 3. Under the General tab, click Page Verification. 4. Click Verify this Page. 5. Enter the phone number that publicly represents your business. 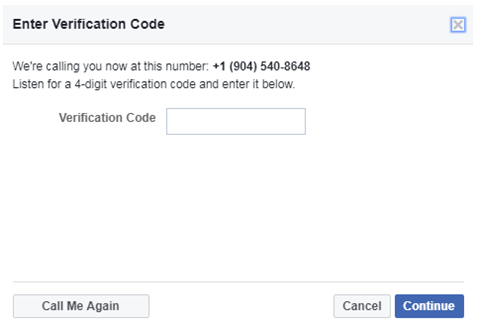 This is how Facebook verifies the authenticity of the user as Facebook will call the number with a verification code. If you would rather verify by way of a document, click Verify this Page with documents instead. 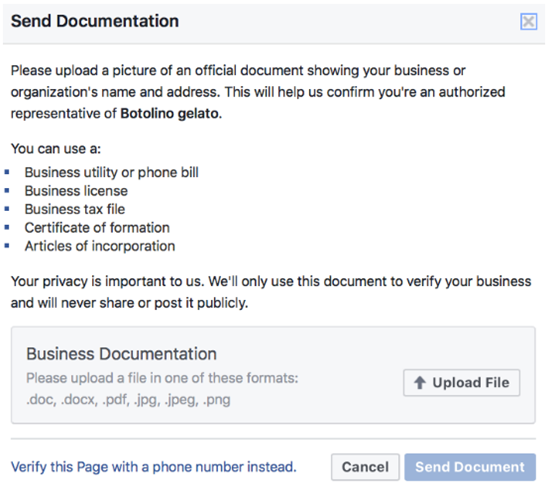 You can upload documents that prove the authenticity of the business and Facebook page. 6. Click Call Me Now and Facebook will call you with a verification code. Enter the code and click Continue. If you need another code, click Call Me Again. 7. 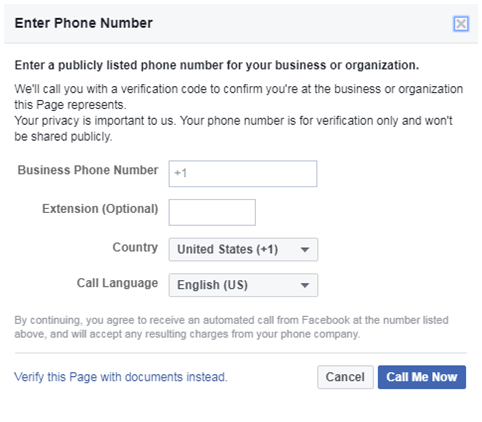 If Facebook is able to validate your phone number, then your page will now be verified. You will now see a verified badge next to your Business Name. If your phone number is unable to be validated, then you will receive a failure to verify notice. At this time you will either need to enter a different phone number or verify by providing documentation. Congratulations, your Facebook page is verified. Viewers can confidently browse your page knowing that it is genuine. You will also rank higher in search results improving visibility.